Do you have old or unused medications that you need to dispose of? New Hanover, Pender and Brunswick Counties all have permanent locations where you can dispose of these items. Follow the link below to access the list of drop off locations.  Often there may be signs that someone is at risk for suicide.  The risk is greater if a behavior is new or has increased and if it seems related to a painful event, loss, or change.  It’s okay to ask. It’s okay to get help. Most who attempt suicide do not want to die. • Looking for a way to kill themselves, such as searching online or buying a gun. • Increasing their use of alcohol or drugs. • Giving away their possessions. • Talking about being very tired; extremely fatigued with life or life events. No matter what problems you are dealing with, we want to help you find a reason to keep living. By calling 1-800-273-TALK (8255)* Press 1 for Veterans or military members, you’ll be connected to a skilled, trained counselor at a crisis center in your area, anytime 24/7. *The National Suicide Prevention Lifeline is staffed with trained professionals and can help with a wide range of issues including substance abuse, economic worries, relationship and family problems, sexual orientation, illness, trauma from abuse, bullying, depression, mental and physical illness, and even loneliness. 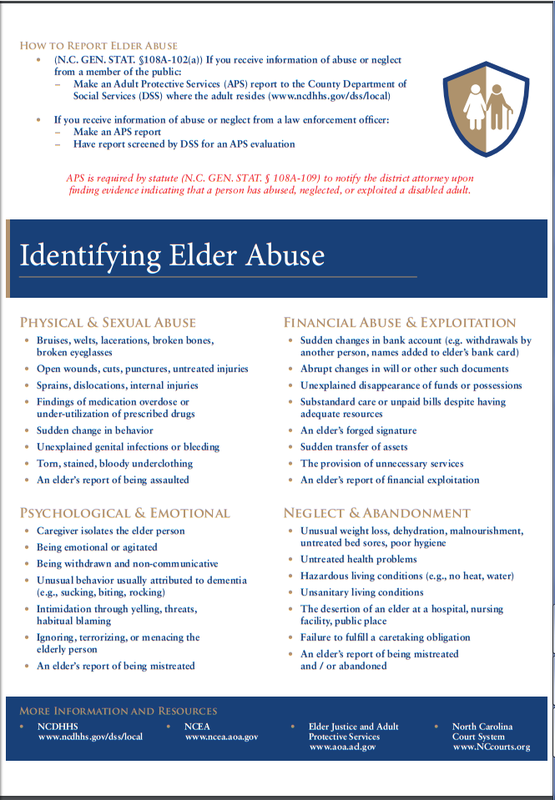 The American Foundation for Suicide Prevention (AFSP) established a new chapter in North Carolina in May 2014. The Chapter raises awareness about suicide and its prevention through community events, Out of the Darkness walks, AFSP programs, and gatekeeper trainings. The Chapter plans to expand training opportunities around the state, make more resources available to people whose lives have been affected by suicide, bring AFSP’s Interactive Screening Program (ISP) to North Carolina campuses and communities, and collaborate with other organizations in continuing to build a grassroots advocacy network that promotes legislation and policies to prevent suicide and improve mental health. The Division provides strategic and operational leadership and oversight to the public mental health, developmental disability and substance abuse service system. The Community Policy Management Section is primarily responsible for leadership, guidance and management of relationships with local management entities (LME/MCOs). LME/MCOs are where people go to find information on receiving mental health, developmental disability or substance abuse services. They are available 24 hours a day. LME/MCO by county: http://www.ncdhhs.gov/mhddsas/lmeonblue.htm. The Division also operates the Crisis Solutions Coalition, which works statewide to decrease the use of emergency departments and increase access to other services to help individuals resolve the crisis and get back to their homes, families, friends, and work. 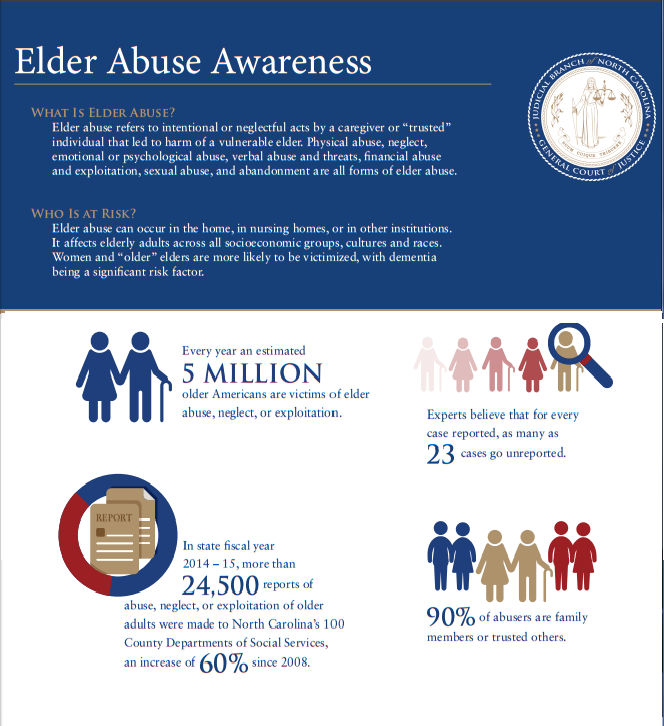 Learn more at http://crisissolutionsnc.org/. Provides access to 24/7/365 crisis response services, such as screening, triage and referral; walk-in crisis; mobile crisis management teams; or facility based crisis services through the DMHDDSAS Local Management Entities/Managed Care Organizations (LME/MCOs). http://www.injuryfreenc.ncdhhs.gov/ For fact sheets and reports this link to read burden of suicide in North Carolina. “It’s OK 2 Ask” website and provides suicide prevention trainings to communities. The Injury and Violence Branch also provides data and surveillance for suicide. Strong Able Youth Speaking Out is a statewide association of youth aged 14 to 24 who are or have been in the out-of-home care system that is based in North Carolina. Youth M.O.V.E is a nationally recognized, youth-led (ages 16-26) and driven organization devoted to improving services and systems that support positive growth and development. The organization unites the voices of individuals who have had experiences in various systems including mental health, juvenile justice, education, and child welfare. Did you know that only 39% of Americans are aware of the link between alcohol use and cancer? Scientist in the UK have found that certain cancers are more prominent within people that drink more alcohol over others that drink less or don’t drink at all. 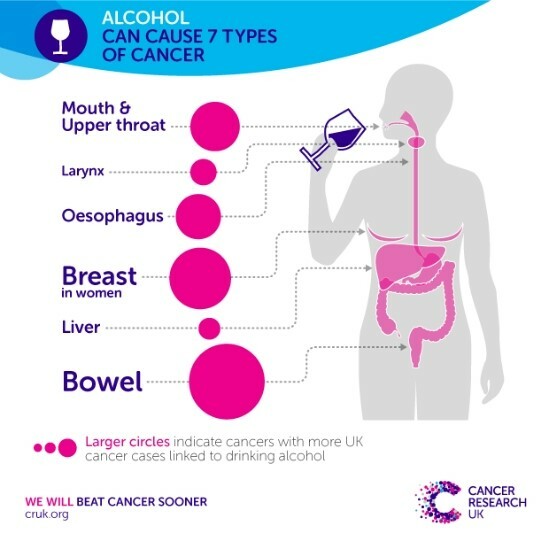 Alcohol causes 4% of cancers in the UK, around 12,800 cases, EVERY YEAR! In our bodies, alcohol (ethanol) is broken down and converted into a toxic chemical known as acetaldehyde. This chemical can cause cancer by damaging the bodies DNA and keeping the cells within the body from repairing the damage. The International Agency of Research on Cancer have classified acetaldehyde formed as result of drinking alcohol as being a cause of cancer, along with alcohol itself. The acetaldehyde chemical also increases growth of liver cells, which can lead to changes in their genes and could potentially lead to cancer. Of course the less you drink the better. Regularly drinking just one pint of beer or one glass of wine can increase the risk of mouth, upper throat, esophageal, breast, and bowel cancers. The more you reduce your alcohol intake, the more you reduce your risk for developing these certain types of cancers. Along with cancer, you will also be reducing the risk for accidents or injuries, high blood pressure, liver disease, and pancreatitis by decreasing the amount of alcohol consumed. Have more alcohol-free days a week. Set certain days with your partner or friend and help each other stick to it. If you are planning to drink alcohol, decide on a limit in advance and make sure you don’t go over it. Swap every other alcoholic drink for a non-alcoholic drink. Try shandy instead of a pint of beer, or swap some wine for soda and a spritzer. Don’t stock up on beer, wine, or spirits at home. Finish one drink before pouring another, because topping off drinks makes it harder to keep track of how much you’ve had and when you planned to stop. Avoid buying drinks in rounds, that way you don’t have to keep pace with anyone. Tell a friend or partner that you’re cutting down on alcohol, they can support you- or even join you. Information from Cancer Research UK and American Institute on Cancer Research. For original posting please click here.